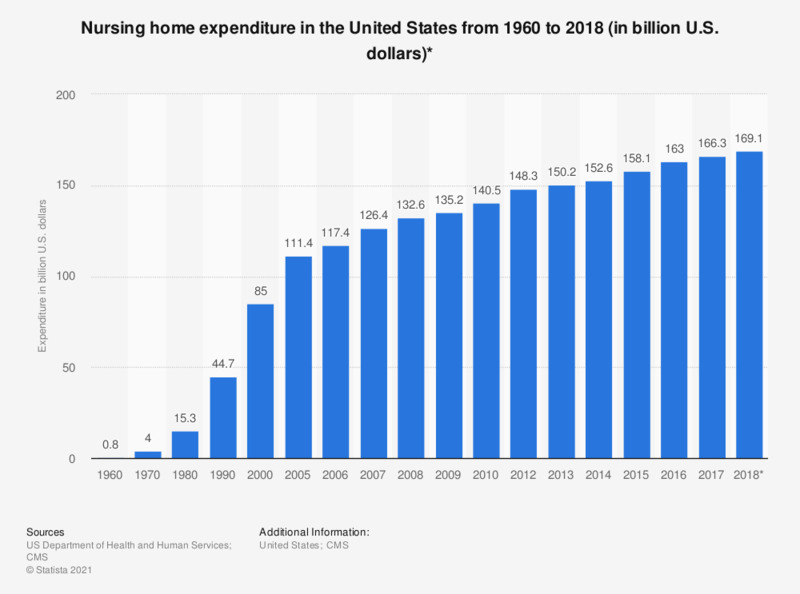 This statistic shows nursing home expenditure in the United States from 1960 to 2016. In 2016, nursing home expenditure in the United States came to almost 163 billion U.S. dollars. * Nursing home expenditure = nursing care facilities and continuing care retirement communities. Includes expenditures for care in freestanding nursing homes. Expenditures for care in hospital-based nursing homes are included with hospital care. Values not included in "Health, United States, 2017" were taken from previous editions of the report.